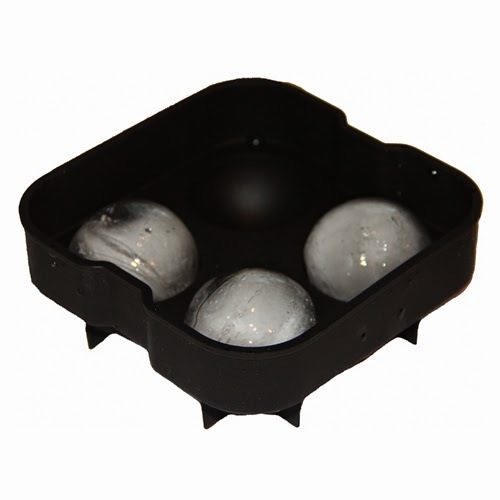 This tray features a four ball silicone mold that makes 4 large ice balls. 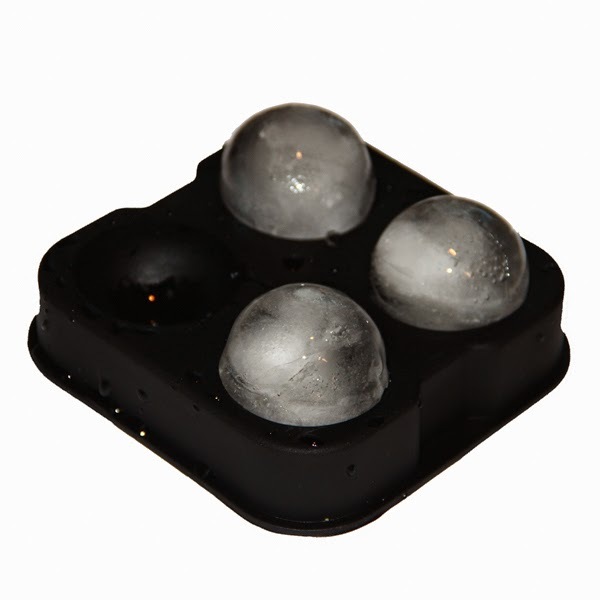 These ice balls melt slower than traditional ice cubes which makes them perfect for anyone who likes to savor their drink for a longer period without the watery mess. Try them in your whiskey, cocktails, iced coffee, soda - just about any beverage you can imagine! These molds are great for entertaining, parties, or everyday use. If you prefer keeping a larger inventory of ice balls, you could buy multiple trays or simply run multiple freeze cycles storing the ice in the freezer until needed. Place the mold in sink and fill mold with distilled water to the top rim. Tap water will work but could bubble and create a cloudy ice ball. Press down on the top mold and release any excess water between the top and bottom molds. 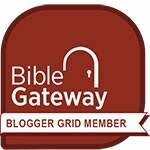 Place mold on a flat surface in the freezer. Once frozen, remove the top mold and place on the counter upside down. Flip the bottom mold over the top mold and separate the edges until the ice releases into the top mold slots.